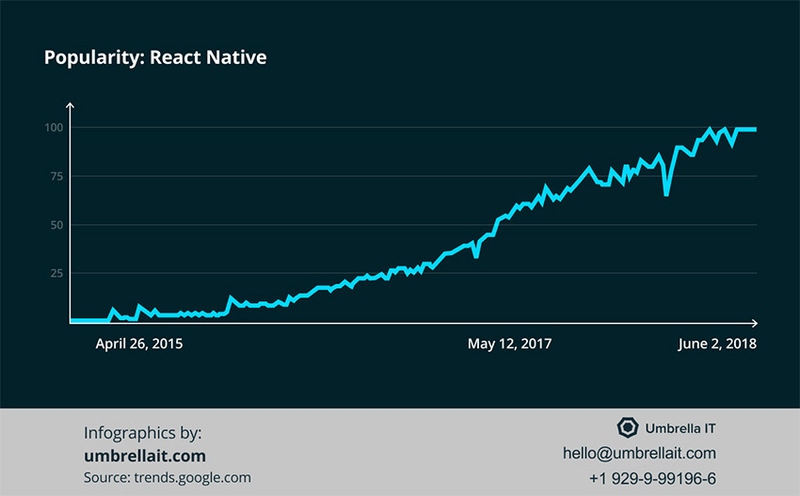 Should You Consider React Native Development? With having experience of developing apps with React Native, Umbrella IT would like to share its outlook on why mobile development with React Native is the future of hybrid app development. React Native is compact and highly productive, particularly when working with variable data. React Native has a component structure that allows writing modular code that can be reused on other platforms. React Native has an error notification system and standard JS debugging tools which facilitate the mobile development process. React Native apps are mostly built on JS, which provides with numerous advantages of web development. For example, each time you add or modify the code, you can update the app instantly to see the changes instead of long waiting for the project rebuild to be finished. The efficiency of the framework is proved by Umbrella IT’s personal experience. 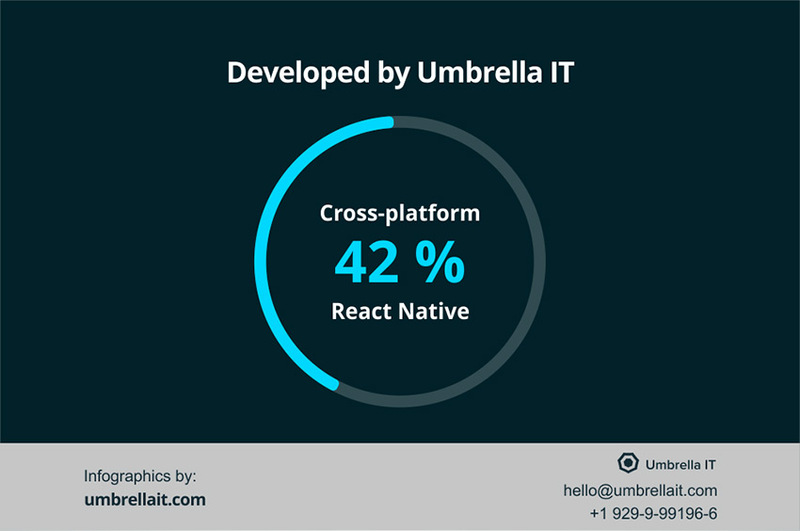 For this reason, 42% of Umbrella IT’s cross-platform apps are built using React Native. As practice shows, React Native is particularly effective when creating Uber-like services. Umbrella IT has already developed a taxi service app where its architecture and users interaction algorithms were one of the main challenges as it is in similar projects. 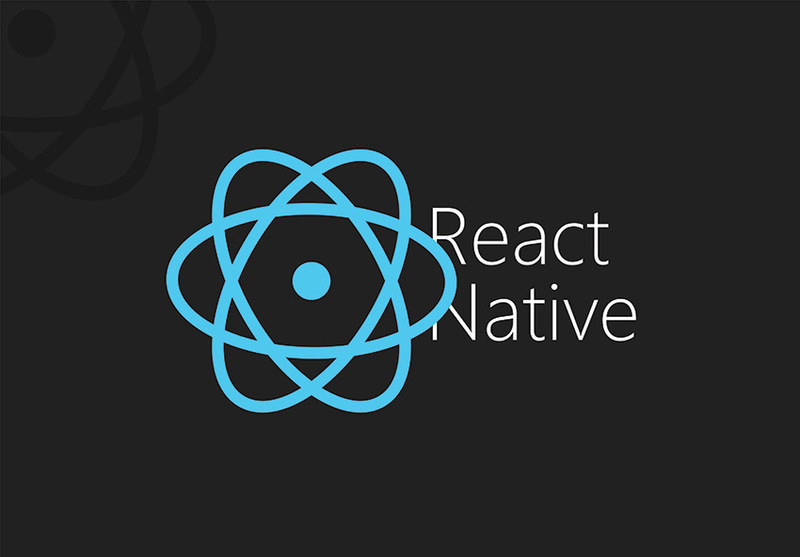 Combined with Socket.io as an additional server-side and mobile client technology, React Native simplified the process of creating native control elements, which reduced the term of development. In this case, neither Xcode nor Android Studio is required. The Expo layer is not that flexible as native code so the setup options are limited. Yet this approach is highly effective when a project includes complex graphics. React Native allows to create a fully-fledged interface that considerably reduces the development time. In case the individual approach to the platform is required, the code can be written separately for each platform. The second way is quite a common practice. Actually, quite recently Umbrella IT was working on the project for informing users of important events within the certain area. The basic part of the app was written in React Native, but the app also required a highly accurate GPS tracking which could only be ensured through the native modules developed independently for each platform. If you have any questions left regarding mobile app development or if you are looking for a reliable team to develop a project based on React Native - don’t hesitate, ask Umbrella IT. Find more top mobile app development companies worldwide on AppFutura. Umbrella IT is one of the top mobile app development companies from AppFutura’s directory. The firm developers apps and web projects providing all the infrastructure. They focus on Symfony and Node.JS for the back-end and HTML5 or Twitter bootstrap, among other platforms. React Native Vs. Native (iOS and Android): Which one is Right for you? Why is Vue Getting a Huge Momentum in the Mobile Market? Why React Native is Future of App Development? React Native - Why The Framework Is Out Now From Airbnb? Top Reasons!